Courtesy of HSU. 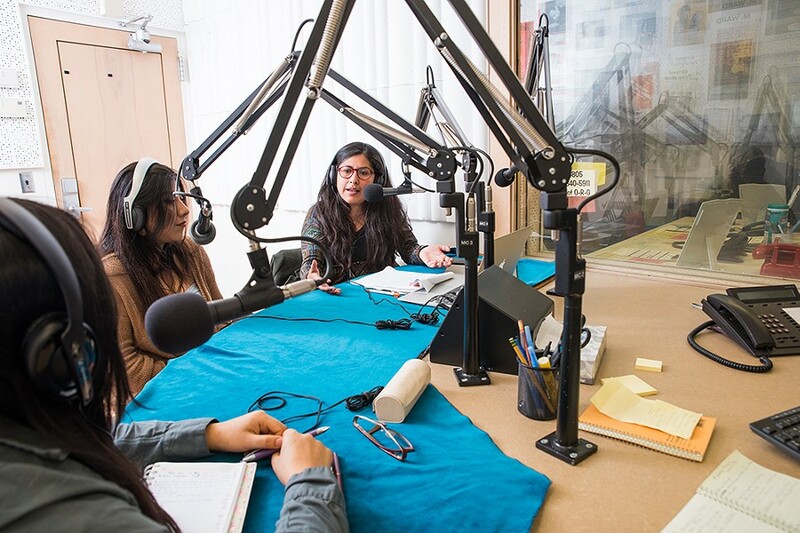 HSU students and a visiting faculty member produce Charlando Con La Raza, HSU's new local Spanish-language program on KHSM (103.3 FM), which also broadcasts nonprofit radio network Radio Bilingüe. Courtesy of HSU. KHSU General Manager Peter Fretwell. Alexander Woodard. Producer and morning host Natalya Estrada edits clips of Democracy Now during commercial breaks of her show. Alexander Woodard. View inside the DJ booth. Alexander Woodard. Natalya Estrada hosting NPR's morning edition during her morning show on KHSU. Alexander Woodard. CDs and vinyl line the walls of KHSU. Alexander Woodard. 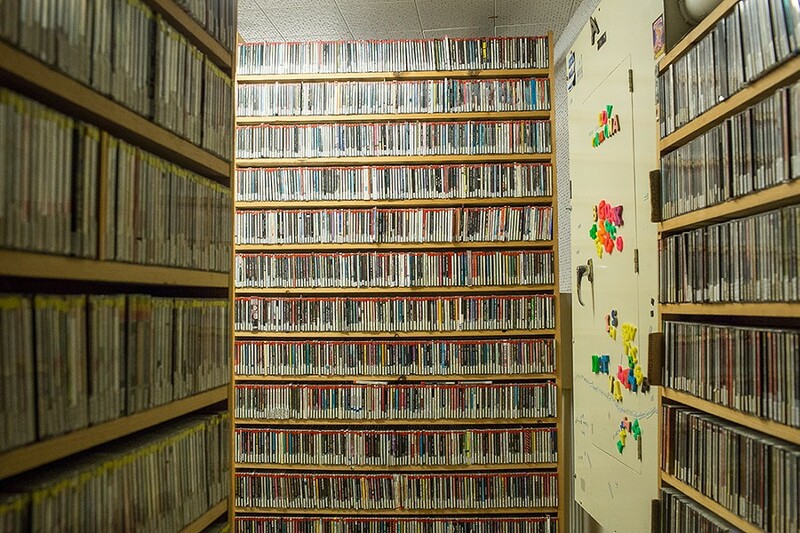 CDs stacked from floor to ceiling in a recording room at KHSU. Alexander Woodard. 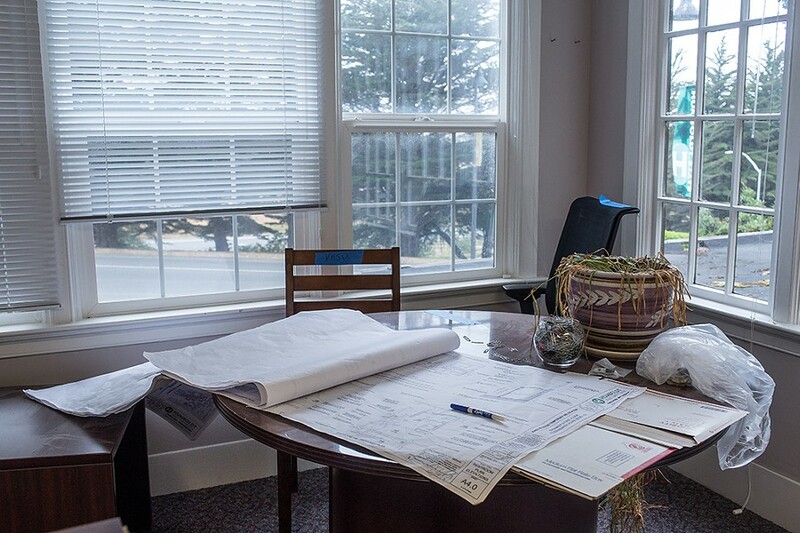 Blueprints for the currently under-construction new home for KHSU in the Feuerwerker House. Alexander Woodard. The view from inside a DJ booth in the under-construction Feuerwerker House, the new home to KHSU while the Theater Arts building is renovated. The July meeting of the KHSU Community Advisory Board (CAB) went an hour overtime. It was the third such meeting since the sudden firing of longtime KHSU Program and Operations Director Katie Whiteside. Normally meetings no one attends except the CAB members themselves, the three since Whiteside's dismissal have been so full that the CAB has had to find new venues. The 50 or so people who turned out in July found seats and greeted one another as a videographer set up his equipment. This meeting was different from the previous two, which essentially consisted of a widespread airing of grievances concerning Whiteside's firing, in that it included a representative of Humboldt State University's administration, Vice President of Advancement Craig Wruck, who oversees KHSU. After introductory remarks and a quick update from staff, the board turned the meeting over to Wruck, who handed out copies of a draft "statement of vision and purpose" prepared by KHSU General Manager Peter Fretwell and HSU President Lisa Rossbacher's cabinet at Wruck's request. But introduced amid what the vice president called a "caustic work environment" at the station, it did not go over well. "One of the things that we really needed to do is develop a strategic plan for the station," Wruck explained, adding that while there has been a long-standing mission statement for the station, there is no clear statement of vision and purpose, "which is what you need in order to create a strategic plan." One reason for a new vision statement, Wruck said, is that KHSU means different things to different listeners. "There are people who believe that KHSU is a wonderful source of local programming, and it is," he said. "There are other people who really rely on KHSU as their source of National Public Radio programming. KHSU also offers 24-hours-a-day Spanish language programming and some people aren't even aware of that. ... part of what we want to do is arrive at a consensus agreement of what exactly this radio station needs to be and how we need to organize ourselves in order to be able to fulfill [the station's] mission." The draft states that the process of reaching consensus on the vision and purpose "will involve all of the station's stakeholders: listeners, the community, volunteers, staff and the university," and will provide an opportunity for discussion and debate "about the priorities and future direction of the station." It goes on to lay out a timeline for creating the statement and includes a draft with an overarching vision statement followed by eight "purposes." But introduced in a climate rife with distrust toward HSU's administration, the vision statement was immediately met with pushback — much of it directed not so much at its content but its origin. CAB member Barbara Boerger was one of the first to speak up after the initial presentation but many of the 50 or so other community members in the room would echo her sentiment throughout the evening. "Who are the president's cabinet, who have never had any involvement or participation in KHSU? We don't even know their names. Who are they to come and draft something without getting any input except for allegedly one member of the CAB and throw this out at us? I think it was disrespectful to the staff and volunteers to go ahead and do this without asking us for input first." Wruck responded that the university owns KHSU so it seemed appropriate to ask the administration to write the first draft. Boerger then asked whether any of the cabinet members were present at the meeting. Wruck said they were not. "We don't even know if they listen to KHSU," Boerger continued. "We don't know if they're members of KHSU, if they support the station themselves with a financial contribution like all of us do. We don't know anything." KHSU's workforce consists of a small cohort of staff and a large group of volunteers, many of whom have worked at the station for decades. Present at the meeting were many of those with the longest histories with KHSU, people who have collectively created thousands of hours of programming and put in many more hours of work — much of it unpaid. Perhaps unsurprisingly, some bristled at being handed a vision statement rather than being asked to help create one. "Many of us attended HSU," said longtime host Danielle Orr. 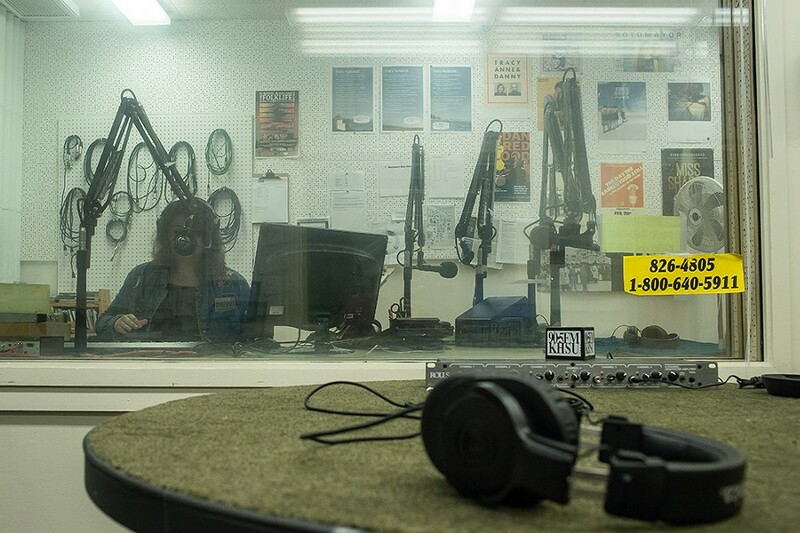 "We are beloved people of this university, of this town, our radio station. I can't even count the amount of hours that I have personally put in, along with all my friends." Orr said everyone in the room that night wants KHSU to be better, "more interesting, more relevant," and is working to that aim, but they need the support of campus leadership. Wruck responded that the draft statement, as presented, was not meant to be a "manifesto that is being laid before you — it's just a starting point," adding that he was trying to be helpful by giving the group a place to start. Discussion turned to the draft statement Wruck presented. Former KHSU host Sharon Fennell read off several of the eight purposes on Wruck's list that she said KHSU is already engaged in. But instead of serving as an affirmation, it seemed to be taken as an affront. "There's nothing new under the sun in this document," she said. "I was with KHSU 37 years — that's almost four decades, Mr. Wruck. ... Everything on this list — we do it." 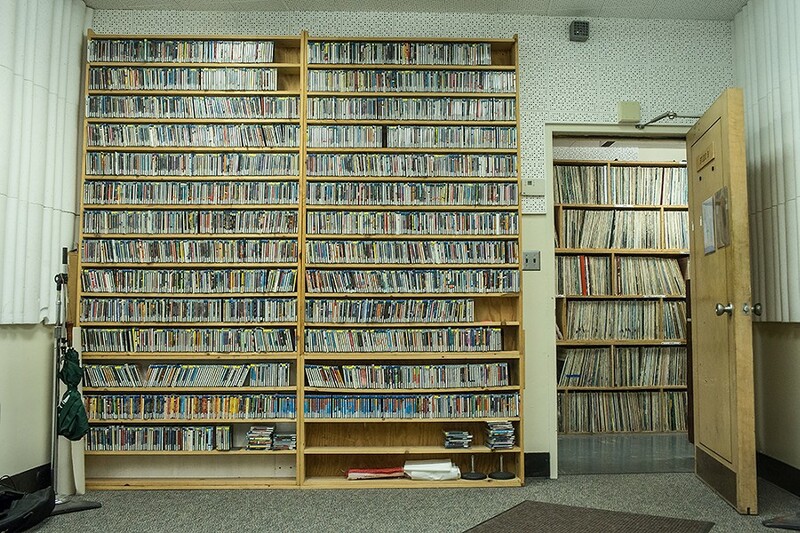 Public radio stations follow a variety of formats. Many get programming from outfits like National Public Radio, which offers shows like Fresh Air and All Things Considered, and Public Radio Exchange, which also distributes programming, including the popular This American Life. This requires fewer hands on deck — you just run the feed and that's it. KHSU buys those programs but it also airs its own local programming. A lot of the work is done by a robust roster of volunteers — around 50 active at any given time — who work long hours to produce a variety of music, local news, stories and interviews. Many of these are featured on the daily half-hour KHSU Magazine on topics ranging from the quality of local patient care to cannabis and local elections. Interviews are aired every weekday and archived on the website. Some are snapshots, only a few minutes long, like Immigrant Voices, hosted by HSU lecturer James Floss, which highlights stories of undocumented people in the community, and This is a Story, a series of short, personal vignettes, hosted by Jessica Eden. Programs like these are aired intermittently, often during the Morning Edition breaks, music shows or the Magazine. There are also standalone, weekly shows like Through the Eyes of Women, which is hosted by a rotating group of volunteers and staff and explores a variety of issues around women's political, economic and social experiences in the local area and beyond. 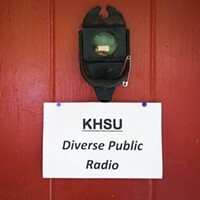 KHSU also has a number of volunteers who have hosted music shows for years, such as Go for Baroque, hosted by Bonnie Burgess, and In the Tradition, a world folk show hosted by Dan Chandler. 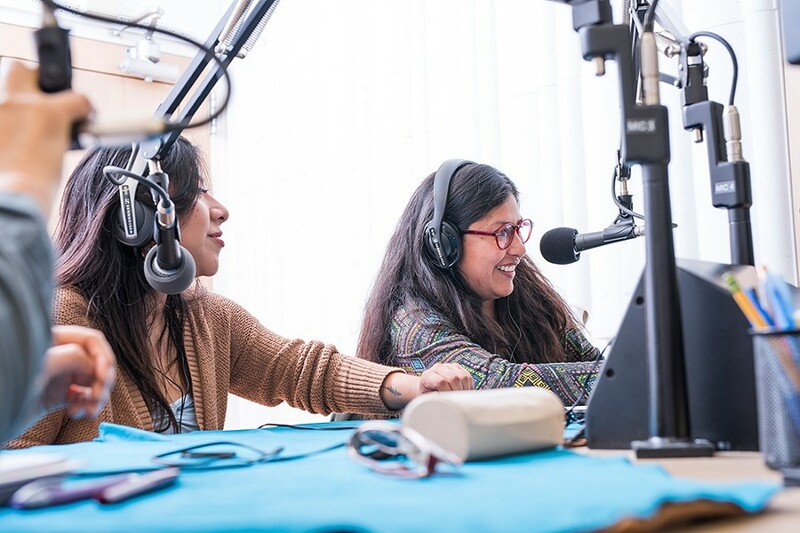 The station also hosts Radio Bilingue, a community-based radio network that offers news and cultural information in Spanish and English, on 103.3 FM and 89.7 FM; and the BBC, a 24-hour news and information service, on 90.1 FM and 107.7 FM. Two homegrown, student-produced shows, Naturaleza y Comunidad and Charlando con la Raza, can be heard on Radio Bilingue. One could argue that KHSU seems to check most of the boxes on Wruck's vision statement list. It provides local news focused on community issues; it is actively expanding its diversity of voices; it acts as a hub for civil dialogue; it provides internships and educational experiences to students; it promotes arts, culture and entertainment along the North Coast; and it has the processes in place to get out information during an emergency situation or natural disaster. But despite all of this local public affairs programming, the airwaves of KHSU are not exactly brimming with local content. Aside from the daily hour of local news and public affairs shows and Thursday Night Talk, a call-in show about local issues, most of the rest of the time is filled with either music or syndicated programming. It's unclear what the administration's goals are for expanding diversity, providing local news and serving as a hub for political dialogue. While it's arguable that KHSU might benefit from doing more of these things, most of the items on Wruck's list are subjective and none are focused on numbers. Eden, a longtime host, content director and producer of several shows, says the station has been adding local content despite all of the recent turmoil. She said she has been writing grants to expand KHSU's programming for the past six years. Her goal is to get KHSU more engaged in the broader Humboldt region — beyond Arcata, Eureka and McKinleyville and into outlying areas, like Hoopa and Weitchpec — to highlight people doing good work. "I want to get storytelling just more generally on our station, different understandings, different worldviews," she said, adding that whether that's reaching out to the tribal radio station KIDE in Hoopa to produce youth stories, or focusing on Native foods on Food for Thought, her aim is to build collaborations. "What I hear from a lot of the outlying communities is that they feel invisible and part of that's geography," she said. "People just feel like, 'Nobody gives a hoot about us out here — how do we tell people about what's going on?' These are our neighbors. Just because they're over a hill doesn't mean that what they're doing doesn't matter. So it's just trying to share the microphone with folks out there." As for student involvement — another of the eight purposes on the vision and purpose statement — HSU student numbers have fluctuated throughout the years, partially dependent on HSU journalism department faculty. There are five students earmarked for this year through the KHSU Experience, an upper-level journalism class in which students can be involved in any capacity — from making pre-recorded announcements and monitoring live recorded shows to fundraising and even producing their own content. This is one of the areas that Wruck mentioned he would like to expand. "That's got to be No. 1 for us, serving student needs," he said in an interview. "We could do a better job in that." While there were a few sporadic radio broadcasts from Humboldt State College in the 1930s, the campus' first radio station, KIEM, began as a student training program. Set up in Founder's Hall by two faculty members, John Karshner and John Van Duzer of the college's speech and drama departments, KIEM began broadcasting in 1941 through phone lines to a transmitter in Eureka. Then, in 1955, Roscoe Peithman and his electronics class built the station's first transmitter and began broadcasting a regular schedule of programming for six hours each weekday. In 1960, KHSC became the first licensed non-commercial FM station in the California university and state college systems. The station continued to grow, getting more funding and equipment, and providing more diverse programming. Students still produced local news but now there was also an increasing variety of music for the greater listening area. The call letters became KHSU in 1972, reflecting the change from Humboldt State College to Humboldt State University. KHSU took a big leap again at the end of 1983, expanding to its current reach of 9,000 watts. But when the station's listenership grew, it also drew corresponding increases in both interest and complaints. 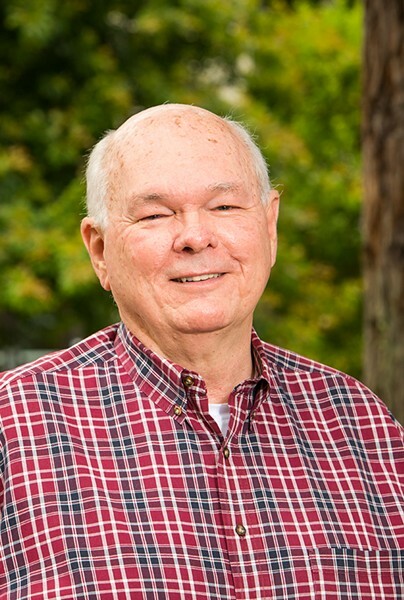 According to Mark Larson, a retired HSU journalism professor, complaints usually centered around quality of on-air broadcast and charges of political bias in the public affairs programming. Others just didn't like the music they heard. People began to lobby for syndicated shows like NPR's news programs, classical shows and other programming, like A Prairie Home Companion, which couldn't be heard in the area. KHSU was student-run until 1987 when C. Parker Van Hecke, from Alaska, was hired to be its first general manager. The station severed ties with what had become the Speech Communication Department and became an independent entity, reporting to the dean of the College of Arts and Humanities. Van Hecke, whose mandate was to grow the station, aimed to get it qualified by the Corporation for Public Broadcasting (CPB), and he did so by reconfiguring budget allocations to meet the CPB's requirement of having five full-time employees. "We had to jump through a few hoops to qualify for CPB funding ... and there was a lot of outcry," recalled Geraldine Goldberg, a CAB member who worked at the station at the time. "Like, 'Oh no, you're going all NPR ... we're going to lose the local flavor.'" 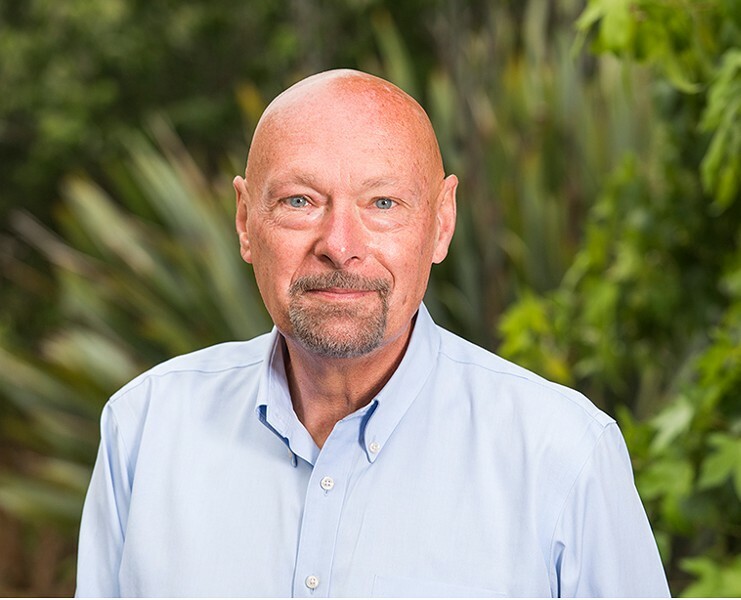 Van Hecke, the former general manager who now resides in Guam, said, "It was a wonderful, colorful, challenging time for KHSU as the station was growing into a powerful, professional information and entertainment provider." They were airing more network news, which meant that some local music shows had to go. "No more two hours of 'one string lute,' no more 'Morning Drive Acid Rock', no more news stories based on conspiracy theories." The station had also allowed a lot of firebrand editorial comments; that all had to end as well. "Our priority was to build a high-quality news and entertainment service in a non-commercial environment," Van Hecke said. "After everyone realized how important the goal was, the criticism went away and the KHSU professional staff created a great radio station. 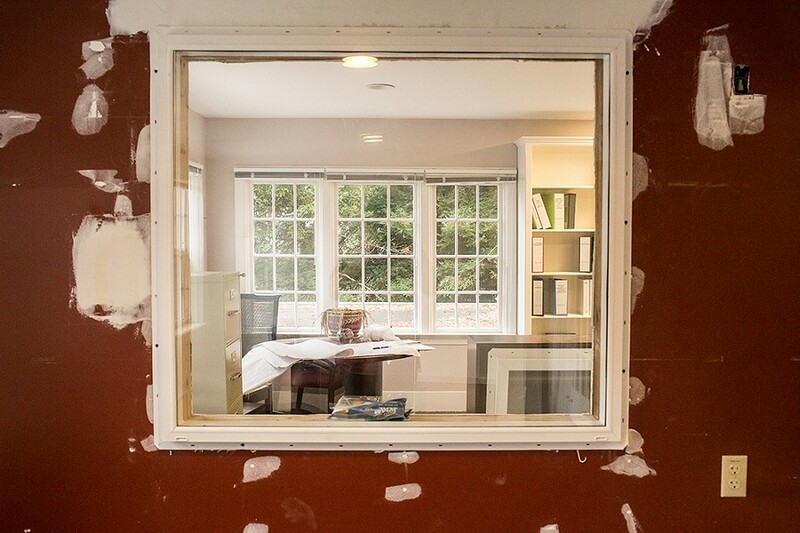 I was very lucky to have competent and hard-working people to hire into those first jobs." He said the day the station became CPB-qualified was one of the greatest moments of his professional life. "I was so proud to be able to bring such a valuable service into the lives of so many people," he said. "The criticisms were expected and, hopefully, were dealt with in a respectful but firm way." The station now had both a dedicated student base and a growing listening audience. It continued to grow and expand with more transmitters and upgrades, raising money through grants and fundraisers. Then in 1999, the station was again shifted under a new campus department — from the College of Arts and Humanities to the Office of University Advancement, which provides fundraising and marketing services for the campus. For the first time, the station was no longer overseen by an academic department. And therein may lie at least some of the current conflict. Some KHSU members see the administration, from the president on down to KHSU's general manager, as separate from the community. Most administrators are hired from out of the area; KHSU volunteers and employees, by contrast, have histories here, many having been part of the station for years. This has helped create the perception, right or wrong, of an administration overlord who knows and cares little about the radio station it oversees. 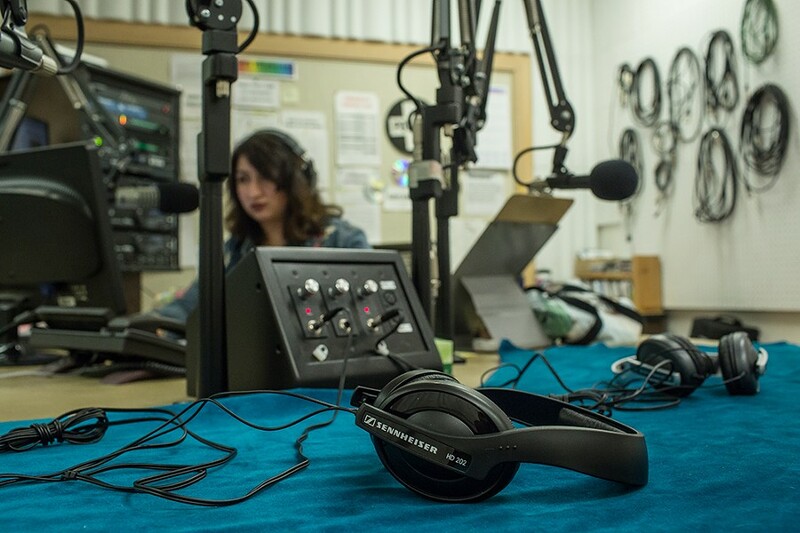 This perception has fueled fears — evidenced by hours of public comment at contentious CAB meetings — that KHSU is being turned into a "boilerplate NPR station" that produces no local content and has no volunteers. Yet looking at Wruck's draft vision statement, it's hard to find anything to support that fear, as the outline mentions increasing local programming, diversity and student voices. When reached for comment after the July CAB meeting, Wruck said he was surprised at the strong negative reaction he received but chalked it up to poor communication. He insisted he wasn't pushing a top-down process with the draft vision, just trying to give people a starting point, noting that he always shudders "to just hand people a blank sheet of paper." "I did not express myself clearly enough," he said, adding that if those involved decide to tear his draft vision statement up and come up with something else, "that's fine." Wruck said he met with several CAB members in closed session back in June to discuss drafting a vision and purpose statement but there was clearly a misunderstanding. He stressed that the university does not have a master plan to close down the station or convert it to a National Public Radio corporate entity. "That just isn't true," he said. Wruck's comment — and the perceived need for it — underscore the level of mistrust and misunderstanding that continue to punctuate the current atmosphere surrounding KHSU. Wruck and CAB president Tom Hinz are putting together a series of townhall meetings to address current issues concerning the station. "I think for the foreseeable future, we ought to have some sort of community input meeting about once a month," Wruck said. "There's a lot of moving parts right now and we need to keep people up to speed." Another contentious issue discussed at the July CAB meeting was Rossbacher's request that the California State University step in to conduct a far-reaching audit of KHSU. In a July 19 letter, Rossbacher asked the CSU's Office of Audit and Advisory Services to evaluate KHSU's operations, administration and oversight, including "a review process for authorizing access to KHSU work areas and transmitter sites." The letter also asks the office to review the station's accounts payable process, communication between staff and administration, and volunteer engagement and training processes. It's essentially asking for a top-down assessment of KHSU's operations. "I believe this advisory services project will be valuable in helping us strengthen our existing business practices, supporting our community service, minimizing unnecessary liability and ensuring that we are managing our resources as effectively as possible," Rossbacher wrote. The letter came on the heels of a string of Federal Communications Commission violations at KHSU that have become a point of contention between staff and the administration. 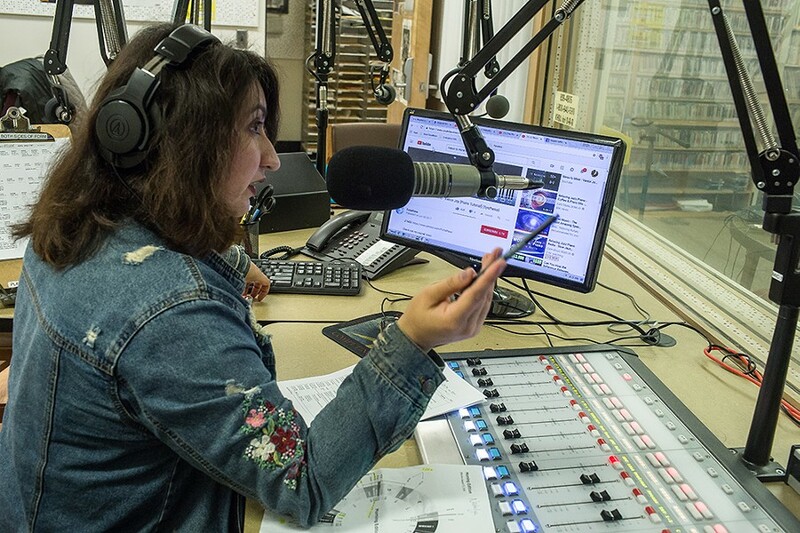 According to HSU spokesperson Aileen Yoo, both callers and guests used profanity in several instances during two Thursday Night Talk programs in April. The FCC counts each word as a violation and the fine can be as much as $3,000 per word. "They were violations that, had we been caught, would have resulted in fines," Wruck told the CAB in July. "Those fines would have been levied against the trustees of the California State University." He went on to explain that he instructed Fretwell to call the FCC and self-report the violations, eliciting groans from meeting attendees. But Wruck persisted, saying, "That resulted in the FCC recording the violations but not fining us, so I think that was a good thing to do." Yoo also confirmed that KHSU has been behind on some of its accounts due to delays in internal processing and has incurred finance charges. When asked for clarification, Yoo said, "We don't have specific figures yet, though it's not so much about the money. It's about being a responsible community partner by paying our vendors on time. However, any finance charges are not a good use of donor or state money." Asked to clarify why Rossbacher was requesting a review of access to KHSU work areas and transmitter sites, Yoo said that only one person currently has authorized access to the station's transmitter sites, which doesn't make sense in the case of an emergency, such as an earthquake. A clear undercurrent in — and potentially a detriment to — all these discussions is that much of the KHSU community is still roiled about Whiteside's sudden firing. Whiteside, popular among staff and volunteers, has not spoken publicly about her dismissal and did not respond to multiple requests for comment for this story. She is now working for KEET-TV. The only other people who truly know why Whiteside was fired are Fretwell and HSU administrators, who are legally prevented from talking about it, leaving fertile ground for distrust, rumors and frustration. Even with no information publicly available about why she was terminated, many have blamed Fretwell and demanded his resignation. He's become a flashpoint in the conversation and some have stepped forward to accuse him of a lack of leadership and even fostering a hostile work environment. Longtime station volunteer Russ Cole was effusive in his praise for Whiteside and her decades-long tenure at KHSU. "Katie Whiteside is one of the most dedicated workers I have ever seen," he said. "She was there seven days a week. She wasn't paid to do that. That employee is pretty rare. It's amazing that they are standing by this guy who has thrown the whole thing into turmoil." Fretwell declined to comment for this story. However, he indicated to the Lost Coast Outpost in May that in no way was the university's decision to fire Whiteside made lightly. "This went through the normal HSU processes," he said. "[The decision] was gone over with a fine-tooth comb because this was painful to everybody. It was revisited repeatedly, before and after the decision was made. I think everybody in the line of review took extra care and extra time because this was painful." But hard feelings have clearly persisted, whether spurred by Whiteside's termination or a deeper root cause. Eden, a KHSU content director and producer, said Fretwell just didn't seem to like the region after moving here to take over KHSU in February of 2017. "Within three weeks of being here, he called us 'backward,'" Eden said, adding that the working environment at the station has soured. "Much of the staff comes up in the studio and hides with me because they do not want to be in Wagner House with him." A volunteer at the station echoed this sentiment. Eden said Fretwell "didn't like Katie from the get-go" and said disparaging things of Whiteside in Eden's presence on numerous occasions, calling her "damaged" and "other unpleasant things." Lorna Bryant, host, producer and community liaison for the station, also said she witnessed some of Fretwell's treatment of Whiteside in the months prior to her firing. Bryant said Whiteside would just "camp out in the studio" because her relationship with Fretwell had grown so tense. "Either Peter wasn't communicating with her at all or, if he was communicating, he was basically barking at her demands that were unfounded or unrealistic or unreasonable," Bryant said. Eden also alleged that Fretwell intentionally "withheld job information" from Whiteside, "professionally undermining her." She also said Fretwell made programming demands on Whiteside that made no sense, relating an incident in which Fretwell allegedly insisted that Whiteside air content that was not ready for broadcast in place of studio guests who were waiting to go on. "That's just one example," said Eden. "But it was such a train wreck." That incident had to do with Floss' show, Immigrant Voices. He said that Fretwell was at first supportive and enthusiastic about the show and offered to be its producer. However, Floss said Fretwell didn't actually ever do any producing on the show, and during the incident described by Eden insisted that Floss put a minimally edited show on the air, which put others at the station under a lot of stress. "I saw him pressure some employees to get it on the air. We felt pressured to get it on the air immediately ... and it was wrong," Floss said. "I believe his impulse was good, but I saw it upset the boat." Eden said she has met with both Rossbacher and Wruck, as well as Colleen Mullery in the university's human resources department, to share her concerns about what's happening in the KHSU office, even saying she feels unsafe in her job. She said her concerns have gone unaddressed. While some employees expressed misgivings about Fretwell and others simply declined to comment for this story, some also indicated they didn't see any cause for alarm. "I don't find that much changed in the office after Peter was hired," said Monica Topping, KHSU's development assistant, adding that she hasn't witnessed any instances of inappropriate behavior. "He's not much of a micromanager, so we come in and do our jobs, and he catches up with us when he needs to, similar to our last manager." Since Whiteside's dismissal the station has seen about 100 members cancel their donations in protest of the firing, amounting to about $17,000 in contributions for the current fiscal year. A few underwriters (businesses who support the station with larger donations) have pulled out to the projected tune of about $30,500 for the fiscal year. "I would say for almost all of them, [Whiteside's firing] was the precipitating factor," said Underwriting Coordinator Jeff DeMark. According to HSU spokesperson Yoo, KHSU's current annual operating budget is approximately $1.3 million, 13 percent of which comes from the Corporation for Public Broadcasting. The university covers $265,000 in personnel costs and an additional $260,000 to cover administrative support and hard costs, such as facilities, equipment, and utilities, comprising a little more than 38 percent of the total budget. (It's worth noting that HSU has maintained this funding through years of budget cuts that have claimed other popular programs and offerings.) The remaining 49 percent of operating costs come through contributions from listeners, businesses and local organizations. After the June CAB meeting, the board formally submitted a vote of no confidence in Fretwell on behalf of "members of the KHSU community," requesting his termination and expressing a concern over a perceived lack of transparency from HSU administration regarding KHSU. 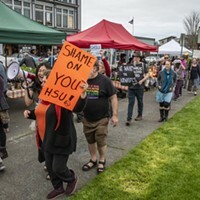 The board said that it had received "a deluge of communication from community members at an unprecedented level" and that "members of the public, the community of listeners who engage daily with KHSU and those who support KHSU have spoken loudly, repeatedly and with great passion with regard to their concerns, the strained relationship between HSU and KHSU, and their lack of confidence in the KHSU general manager." In response, Rossbacher sent a letter to the CAB thanking its members for their "good work on behalf of KHSU and Humboldt State University" and reminding members, "We must ensure that all personnel matters, including those affecting both staff and leadership, are handled with respect and confidentiality." Wruck, meanwhile, continues to support Fretwell, whom he hired as a "change agent," saying he has met expectations and isn't going anywhere. "It's a caustic work environment at KHSU right now," Wruck said. "I don't think that started with Peter Fretwell and my observation is we really need to bring that to an end. It needs to be a more collaborative and supportive working environment, and that's one of the things I expect Peter to work on." Wruck also conceded that he may have added to the sense of unease surrounding Fretwell and KHSU's direction with his choice of language. "I caused a bit of anxiety to the staff when I used the term 'change agent' to describe Peter Fretwell," Wruck said. "I meant it as a compliment. I see change as growing and flourishing, and KHSU, I think, really stands at a threshold here to grow." But some KHSU volunteers say Fretwell isn't showing much leadership for someone brought in to instigate change. Halimah Collingwood, a volunteer of nearly 30 years, said she was hopeful when Fretwell was hired — thinking he could take KHSU to "that next level." After a couple of months on the job, she said Fretwell asked to meet with her and told her KHSU's operations were "dysfunctional" and "ego-driven," "and he wanted to clear those kind of things up." But she said there's never been a staff-volunteer meeting to clear the air or move the conversation forward, even in the aftermath of Whiteside's firing. At July's CAB meeting, she addressed Wruck: "If Peter has qualities that you respect, I would love to see a turnaround and see him approach us and include us and make us one community again." When asked why Fretwell was not at the meeting, Wruck said he had become a "lightning rod" that got in the way of the CAB doing its job so Wruck attended in his place. "Peter has been subject to quite a bit of disparagement and even slander," Wruck said. KHSU's future is uncertain and some people are nervous — especially those personally invested in the station. But the administration says KHSU is not going anywhere and, in fact, the university has plans to increase both student input and local programming, the kind that Eden has been working on. Wruck pointed out that HSU, because of its rural location, has not only an educational and research mission from the CSU, but also a community service mandate, a role that KHSU fills. "There wouldn't be anybody else to provide a public radio service in this region if it weren't for us," Wruck said in a recent interview. When asked whether the administration is coming up with ways to fund the expansion of programming, Wruck said it is. When asked how, he said, "The answer to your question is we're going to do more of the good stuff that we're doing. It needs to be more strategic than that, but we need to decide where to put the priorities." Wruck mentioned that the acquisition of the license for Radio Bilingue was done entirely with grant support. He said that the university doesn't have a grant writer working within the Office of University Advancement, adding that if he could get the resources to "make any expansion" in the office, that's what he would do. The vice president said he doesn't have plans to do away with KHSU's volunteers, as some have feared, but conceded the work they do might change. One of the changes he's mentioned is that he wants to see KHSU provide more digital delivery, which he says the station is not using "anywhere near as extensively as we could." "There will be changes and I understand that anxiety," Wruck said. "It will be different but I don't know what different looks like." The administration plans to gather input from the CAB and present it to KHSU's staff and volunteers in September to gather their input. The October phase will involve reaching out to the broader community, and they've been brainstorming how to best do that. One idea is to have forums on KHSU in which people can weigh in on what they want out of the radio station. "We believe we have an audience that measures in the tens of thousands. I need to hear from those people," Wruck said. 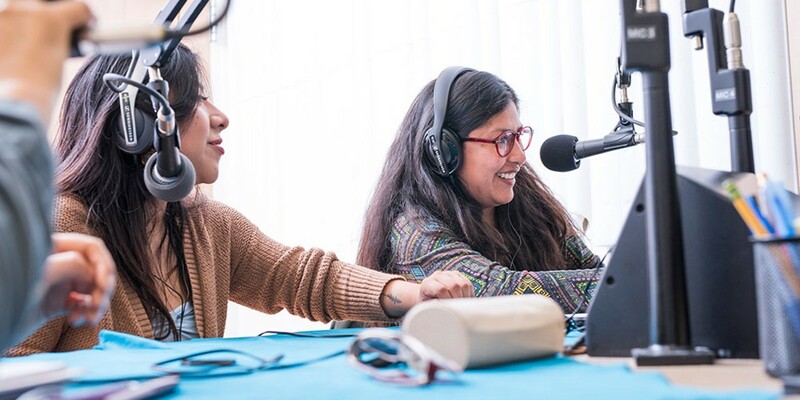 "Our Spanish-speaking audience — we need to hear from them about what they think of Radio Bilingue. We've been doing some small local inserts. Do they want more of that? Would they rather just take the feed from Fresno? You know, those are all bits of information we need to gather." Editor's note: In the interest of full disclosure, the North Coast Journal and KHSU have an ongoing partnership under which Journal staff contribute weekly, appearing on Wednesday editions of the KHSU Magazine. Editor's note: This story was updated from a previous version to correct the nature of the KHSU Community Advisory Board's June vote. The Journal regrets the error.